You are here: Home / Articles / The Portland SMUG learns about off camera lighting! The Portland SMUG learns about off camera lighting! 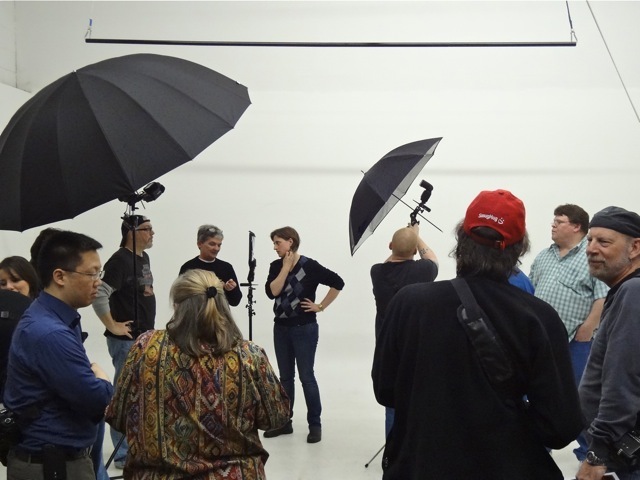 Held again at the Newspace Center for Photography, this monthʼs Portland SMUG meeting was all about using off camera lighting and light modifiers. Jayesunn, our group leader, demonstrated the Rogue bendable bounce card/reﬂectors, which come in two different sizes and can be bent into various positions to allow you to control where your light is directed. 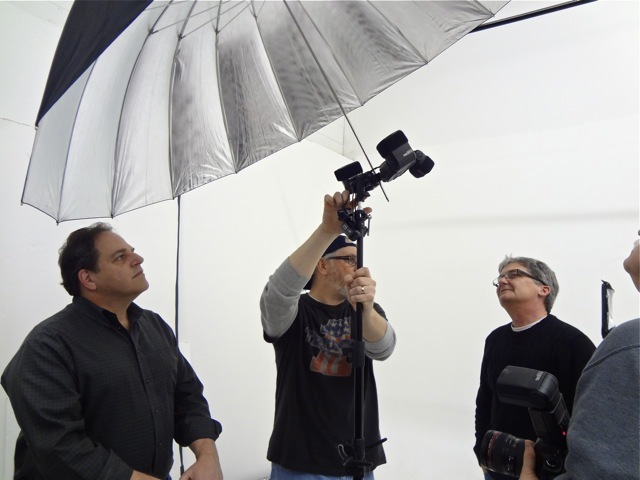 An additional diffusion panel can be attached to the reflector to make it into a miniature portable soft box. There were also some Rogue Grid Flash Gels, which are handy for adding color to a background or to selected areas in your compositions. The meeting was very well attended and interactive – everyone got involved with trying out the equipment, and most people brought their own cameras and lights so they could walk away with some test shots. We tried out different lighting techniques, including short, broad, and split. 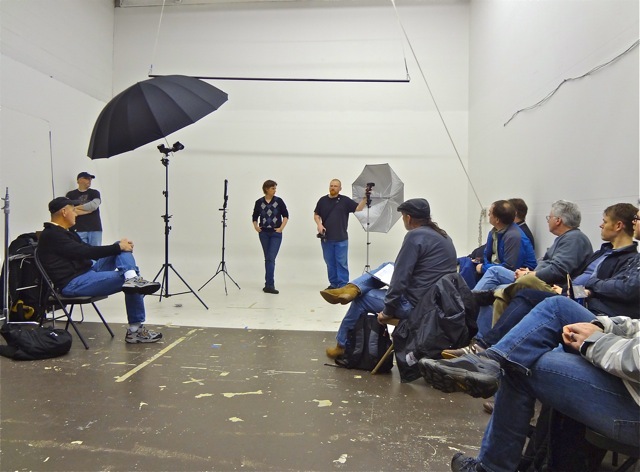 I think everyone came away from this meeting with a little bit more photographic knowledge and it was also a great opportunity to meet other Portland photographers. We are all looking forward to the next meeting! Michelle is an ophthalmic photographer by profession, and a continuously learning enthusiastic photographer in her spare time. She has recently moved from London, UK to Portland, Oregon. You can check out her SmugMug account here.